Dr Sarah Nouwen is a University Senior Lecturer in Law at the Faculty of Law, Co-Deputy Director of the Lauterpacht Centre for International Law and a Fellow of Pembroke College. She is also a Fellow of the Centre for Governance and Human Rights (CGHR) and has served as advisor to the African Union and as consultant for various NGOs, Ministries of Foreign Affairs and the Department of International Development (DfID) on rule-of-law building and transitional justice. She has strong connections with various African research institutions. Sarah’s research, which integrates doctrinal, theoretical and empirical perspectives and is characterised by deep on-the-ground knowledge, lies at the intersection of law and politics, war and peace and justice and the rule of law. She has published a book on the International Criminal Court and its principle of complementarity, and is currently investigating the role of international law in peace negotiations. Her research has won a prize for its "truly interdisciplinary" character. She has published extensively on issues of peace and justice, and their relationship, and has unique practitioner’s experience in institutions promoting these aims. 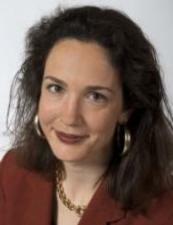 As evidenced by her award-winning article "As you set out for Ithaka: Practical, Epistemological, Ethical, and Existential Questions about Socio-Legal Empirical Research in Conflict", Sarah has seen many faces of justice and injustice, war and peace, and global institutions while working and learning in countries faced by multiple global challenges. Her work stems from a commitment to test the assumptions underpinning interventions and to promote a more inclusive production of global knowledge on these matters. Sarah’s motivation to join the Global Challenges Forum is shown by her expertise, research and work, which are neatly tailored to the sustainable development goal of peace, justice and strong institutions - namely to promote peace and inclusive societies for sustainable development, provide access to justice for all and to build effective, accountable and inclusive institutions at all levels.